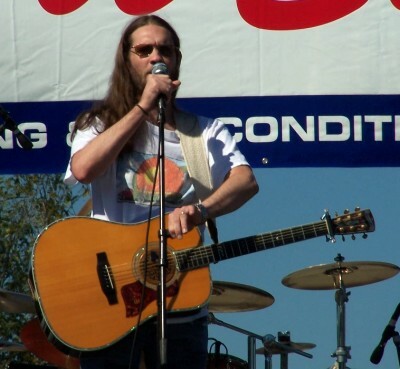 Singing sensation, Bo Bice, is on his way to Stockton 99 Speedway for a Live Concert Stop on his North American Tour. Bice, runner-up to Carrie Underwood on America’s number one talent show a few years back, will be Live, onstage at the Speedway on July 10th. Bo will be joined by Special Guests Stone Corral and Last Stage. This is one event you won’t want to miss as Stockton 99 Speedway ushers in a new era of entertainment for the entire family to enjoy. Speaking of family entertainment, fun-filled events for the little ones will be on tap in the form of a carnival and jump houses, plus much more excitement for the entire family. 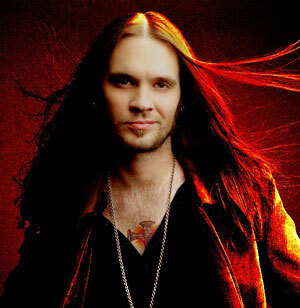 So, make this a night to remember with the outstanding sounds of Bo Bice on July 10th at the Stockton 99 Speedway. The doors open at 2, and the show starts at 6! For more info go to stockton99.com, or get your tickets at ticketweb.com. The New Stockton 99 Speedway is located at 4105 N. Wilson Way, ¼-mile west of Highway 99. For more information on tickets and times, please contact the Speedway Office at (209)466-9999 or visit our Website at www.stockton99.com. And remember, The New Stockton 99 Speedway is always Family Friendly. The New Stockton 99 Speedway is sponsored by Jackson Rancheria Casino Hotel, California Welding Supply, Budweiser, Alamo Alarm and Lodi Hampton Inn & Suites. The New Stockton 99 Speedway is sponsored by Jackson Rancheria Casino Hotel, California Welding Supply, Budweiser, Alamo Alarm and Lodi Hampton Inn and Suites. 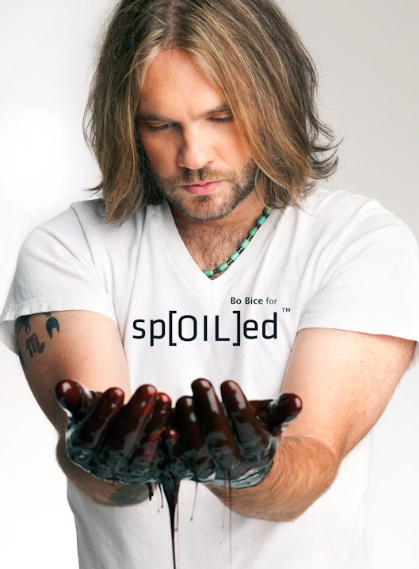 Bo has joined in with other country artists to raise awareness and money in response to the Gulf Coast oil spill. The sp[OIL]ed Campaign is a photographic movement created by New Orleans photographer, Matthew Arthur and NLE founder, Nicholas Landry in direct response to the oil spill in the Gulf of Mexico. Photos feature subjects with “oil” on their hands, symbolizing the fact that solutions to the environmental & economic impact of the oil spill are in our hands. The sp[OIL]ed Campaign has teamed up with protectourcoastline.org, a nonprofit organization founded to raise money to provide relief to those facing financial devastation and to help save Louisiana’s Wetlands. To raise money, each photo will be auctioned off, and then sometime next year all the pictures will be combined into a coffee table book. That’s some photo, Bo. Wow.